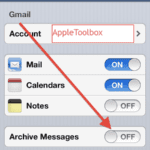 In some cases, iOS Mail (used by the iPhone, iPad and iPod touch) may unexpectedly quit. 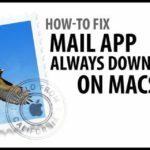 In many cases, this issue is caused by problematic mail messages stored on IMAP servers. My problem started today after I did the iPad operating system update. I have about 15 work email accounts that I access through my iPad, so deleting all of their emails to not offend my iPad wasn’t an option. I was able to see the time of the last email that came through, and then went to my iPhone and deleted the email received after that one. Amazingly, it worked! The problem email was a legitimate one from airmiles.com and not spam. The fix worked for me. It didn’t even occur to me that just one offending email could be causing all the crashing issues. I wasnt able to see the offending email on the web version (my email doesn’t save to web just locally) but I think waiting it out till the email was pushed out might have removed the problem along with the offending email. And yes, it was a large attachment that started it all….won’t be doing that again! I’m having the same problem as Donna (“E-mail will not open; it locks on a blank screen or bumps me out altogether”), except that I tried to send a voice note from my iPhone 5c, but neglected to check the size. The e-mail that broke my mail app doesn’t show up on G-mail when I log from my laptop or iPad. Please help? i scanned down the whole of this thread and got to you. this is exactly what i did with same outcome. did you get solved? Did you find a fix? I have the same issue. I’ve tried all of the above…restart, delete account, airplane mode, etc. It was an email I was composing that I put in draft that I think is causing the issue. When I go to my email on computer or direct on IPad the draft is not there. Even after push update. Any other suggestions? Thanks! I wrote an email, and proceeded to add about 6-8 pics to the letter. They must have been too large and they caused my email in my iPad to crash. Now what? Email will not open; it locks on a blank screen or bumps me out altogether. I went on computer, pulled up email account to delete the pics, but I cannot open it up. Just a blank page shows, then it boots off. I need help. I have the same problem with you. I inserted panoramic photos. Then it was crashing since its too large. Then I kept insisting to put it back and try to send immediately. The the last time it crashes, it doesn’t want to open any more. I needed to install yahoo mail just so I can still use my mail app. But I really want to fix the mail IOS of my iPhone 4s. I did the hard restart (push buttons power on/off and home) still doesn’t work. I don’t want to upgrade it because I’ve read some negative feedback about it. And I’m afraid if taking the risk to reset something. Sigh. my mail app keeps crashing and has been for at least a month now and ive litterally tried everything from downloading all over againa and deleting account to wiping the ipad. someone please help! I can’t find “mail delivery failure” of my hotmail account! Any help? On my iPod I had a failed network connection during a mail send (Gmail) with photos attached. Mail crashed during the send and consequent attempts to launch mail resulted in a blank screen crash. I had to remove all of my Gmail accounts for mail to launch. Once I added all of the accounts back everything began working fine. I have no idea why problems with one Gmail account required me to remove all of them but that’s what worked for me. I have an Ipod. Few days ago my mail just froze. I didn’t upgrade any software and I didn’t open any mail delivery emails. It still downloads new emails, but I can’t open any of them. I reset all my accounts, I even opened a new empty email account, but nothing works. The mail is being delivered but I can’t open anything. This is not helping at all!!!!! Same here! Doesn’t work for me! I downloaded the new version of ipod touch two weeks ago (iOS 5.0.1) whenever i get a new email, there is a push notification in my mail app that i have one.. Then, 2 days later, it just disappears by itself! I didn’t even delet it! And when i try to see my inbox, or the mails i sended, or just the folders i created, they say that there is no email.. Per example, it only appears the emails that i created or sended or received when i was on my ipod touch.. If i received an email when i was on the conputer, it wont show my on my ipod, even if i refresh the mail! And also, even if i get and email from my ipod, 2 days later it delets automatically! What can i do? I can’t even read my 1 week old emails! I went into settings on my IPAD and deleted my email account and then went back and reloaded it and it now works. Thanks everyone for the advice. 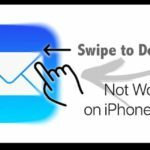 everytime you open the mail app (iOS device), it will first download the message and display the 2 line preview 1 by 1, you will notice it will always crash on the same message, try deleting that message on your gmail (not in the mail app). voila! I had this problem twice, now. The first time I replaced the phone under extended warranty. THen it worked OK.
About 6 months later, same problem. So on my MacBook Pro, I deleted the last week’s messages. Mail on my iPhone works fine right now. Amazing that Apple technicians didn’t figure this out. The Mail app on my ipad now has a 50 on a red background in the top right corner of the icon. When I click on it to open, it seems to take forever – even when there is no new mail! What’s the problem and how do I fix it. By the way, prior to its appearing, I did trash a number of old e-mails received and sent. Given the comments elsewhere on the subject, this may be the source of my problem. Thanks for this advice. My iPhone 3GS email kept crashing after 2 seconds. I tried deleting the account and resetting, switching off, then deleting large “mail delivery failure ” messages (which had attachments) on my laptop. Various combinations of the above actions seem to have finally worked! Same problem here so I sent myself (from laptop) 50 emails and opened them on my iPad. Could only open without crashing by turning pad off then on, then open mail. The 50 emails meant they pushed the older emails off my iPad including whatever the offending one was. I had the same problem and your solution fixed it. Thanks for sharing. 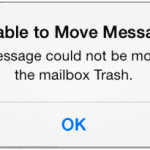 I deleted the mail delivery failure emails using webmail and no more crashes on the iPad of the Mail program. 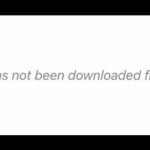 All I did was remove two “mail delivery failure” messages from my web client, wait ten minutes and then all was good on ipad. Weird fix. Email is now working and back in sync as well. Resetting the mail account? How did you do that? You deleted your account in iOS then reestablish it? How about your previous emails? They weren’t deleted at all??? Life’s to short to sort this stuff out on ya own..
Mail on iPod Touch, with latest software version, updates inbox, but on displaying inbox, mail freezes, then crashes. I have restored, reset and set up as a new device, re-entered mail and network settngs; still Mail refuses to behave as it should and we are led to believe it should. Any suggestions to resolve this situation appreciated. I’m having same issue “Not responding” only since upgrading my Iphone 3gs to the latest 4.0. If I keep retrying it eventually will work . It only seems to be affecting the my hotmail account. Any help would be appreciated. I have the same problem and can’t seem to fix it. 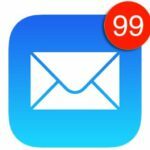 Is there another Mail program available for the iPad? I have the issue of the mail app STILL crashing. Using comcast.net. I deleted ALL mail at comcast, including deleted and sent folders. I then deleted my account(s), ALL of them, on my iPad, and then added my comcast account again. However, there are STILL 37 ‘unread’ mail items shown (little ’37’ by the icon), and when I open it, it closes in 3-4 seconds. So, as you said, in MOST cases this works, but not mine. Any advice? Just updated my son’s ipod touch with iOS 4. Everything ok apart from the mail app. Previously he could download email to his ipod touch, but now the hotmail servers are not being configured and it ipod is saying the pop3.live.com server is not responding.